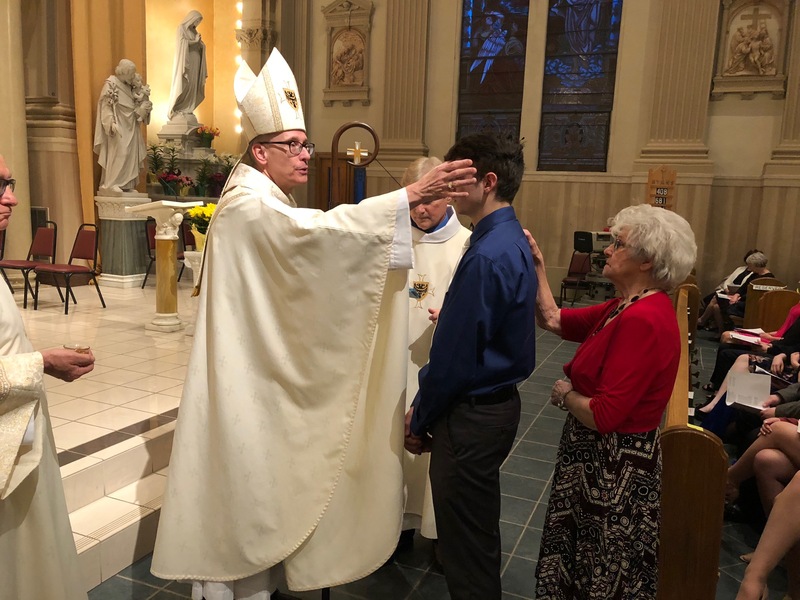 · In 2017-2018, parishes received $3,335 to assist with Sacramental Preparation education materials, workshops, and retreats. · This helped 2,986 children and adults receive the Sacraments of Baptism, First Reconciliation, First Eucharist, Confirmation, and Marriage. · Because of the help of the Sacramental Preparation ministry, 762 candidates are to receive the Sacrament of Confirmation this year. Jesus said, “Go, therefore, and make disciples of all nations, baptizing them in the name of the Father, and of the Son, and of the Holy Spirit, teaching them to observe all that I have commanded you. And behold, I am with you always, until the end of the age.” Your support of the Catholic Ministries Drive will help prepare children and adults to receive the important sacraments and to become good shepherds of our Church. You can help Sacramental Preparation today by mailing your gift, placing it in the parish offertory, or donating online at dioceseaj.org. 100% of your donation will go to the ministries to give help, build hope, and change lives.